...so, of course, i am loving the new season of "the sing off" on NBC. you may remember my obsession with committed. really i just like to talk about renovating the bathroom but avoid actually doing any work. but, someday i will get around to the bathroom reno and then it will be beautiful. 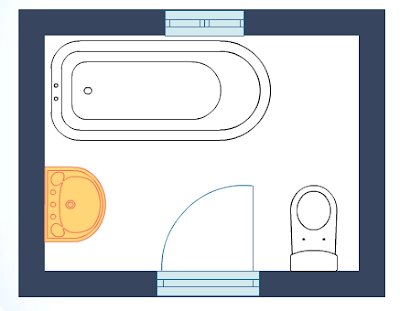 i'm going to share the plan with you all, plus some pictures that are the inspiration for my future bathroom, and maybe you can help me make some decisions. i like black and white complimented with BRIGHT colors (fiery orangey-reds, or limey/lemony yellow). i want black walls, but will probably do white bead-board or subway tiles 3/4 up the wall so it won't be super dark. 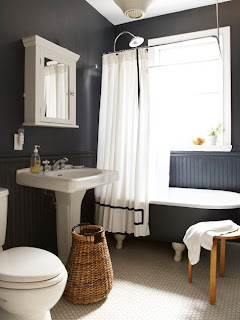 we'll definitely paint the clawfoot tub black around the outside. love that. i like white towels but let's be realistic, they'll stay white for about 3 minutes. so, i'll probably find bright towels, maybe even some pattern. i'll know it when i see it. 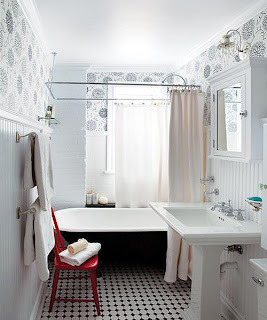 here are 3 inspiration bathrooms, all pretty similar. the medicine cabinet we have is identical to the ones in the first two pics and the train rack i want to get is similar to that in the 3rd photo. *gut the whole bathroom and put in new drywall, lighting, electrical, and rearrange the plumbing. *put in craigslist clawfoot tub, pedestal sink, and metal cabinet for storage. reuse existing toilet. purchased old fashioned looking medicine cabinet from restoration hardware. use gift certificate from RH to purchase a "train rack" for towel storage. 1. lighting. probably will do recessed lights plus one or two sconces either above or on either side of the medicine cabinet. 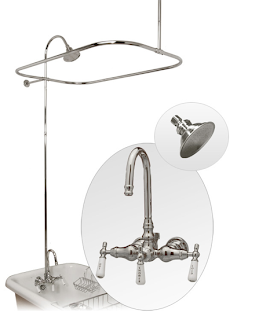 2. fixtures for shower (see right), hand towel hook or ring, toilet paper holder, and a door knob. probably will buy new except for the door knob (want a cool vintage glass knob, i think). 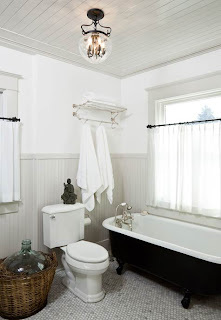 3. flooring (maybe tiny hexagonal tiles, white with a few black added in as was customary in most bathrooms from 1930's bungalow homes or hardwood painted a glossy white). 4. decide whether we want to do white subway tiles partway up the wall or nothing but paint. what do you guys think? see inspiration pics above. we also need to decide on a layout. 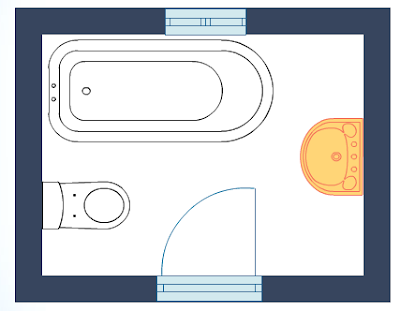 it's a tiny bathroom, so not a lot of options. 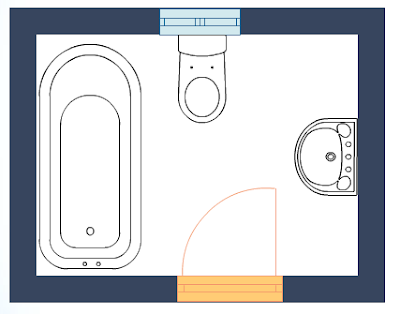 i feel like this 3rd option hides the ugly toilet but also gives us the most space around the sink. my tall light blue metal cabinet will sit across from the toilet for storage and the train rack will likely hang right above the toilet.